A few brave souls — we’ll call them “brave,” though other descriptors come to mind — find recreation in these waters today. The rest of us are fortunate that the city reconsidered, and that the man who designed Central Park had an understanding, far ahead of his time, of nature’s psychological impact. “It is a scientific fact,” wrote Frederick Law Olmsted in 1865, seven years after his plan for the park was chosen, “that the occasional contemplation of natural scenes of an impressive character … is favorable to the health and vigor of men” (Hartig, 2007). As awareness of humanity’s relationship with the environment has increased in the past few decades — buoyed of late by the larger popular concern about climate change — so has empirical evidence for nature’s psychological benefits. Back in 1865, Olmsted thought exposure to natural environments would prevent a “softening of the brain,” “irascibility,” and “melancholy.” Nearly 150 years later, scientists now know that nature has a remarkable ability to restore attention, that it soothes aggression, and that it may even ease mild depression. Reinvigorating the Brain through A.R.T. The most significant understanding of nature’s salutary effect on the human mind has come through studies of attention. 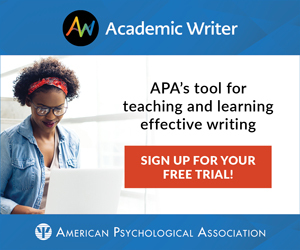 The foundation of this work is the attention restoration theory, or A.R.T., set forth by APS Fellow Stephen Kaplan of the University of Michigan. The theory originated in the 1980s, says Kaplan, when he, APS Fellow Rachel Kaplan, and some of their students noticed that people had an astounding preference for scenes depicting natural environments. Kaplan and his collaborators soon discovered there was much more to nature than just a pretty face — they found that exposure to these scenes had a profound restorative effect on the brain’s ability to focus. The tenets of A.R.T were established in a 1995 paper by Kaplan. Briefly put, a person can engage in two types of attention: involuntary and voluntary. Involuntary attention is a rather effortless form of engagement with the world. Voluntary (or directed) attention, in contrast, requires a good deal of focus and energy — it plays a central role in problem solving, for instance — and is therefore susceptible to fatigue. Voluntary attention can be restored through sleep, but it can also be restored during waking hours when a person’s involuntary attention becomes highly engaged, essentially giving direct attention a breather. Kaplan and his collaborators found that nature is especially conducive to our involuntary engagement. Nature’s ability to restore human attention has since been supported by a wide range of psychological studies. In a study coauthored by Kaplan and led by Marc Berman, for instance, the researchers compared the restorative effects of natural environments with those of the city (Berman, Jonides, & Kaplan, 2008). In one trial, 38 study participants were given the “backwards digit-span task” — an established test of voluntary attention. The participants then performed a task that fatigued their voluntary attention and were randomly assigned to walk through either downtown Ann Arbor or the city’s arboretum, a substantial haven of trees and wide lawns. Afterwards, the participants took the backwards digit-span task again. Sure enough, the scores were significantly higher after the walks through the arboretum, as the researchers reported in Psychological Science. In the January 2010 issue of Perspectives on Psychological Science, Kaplan and Berman summarize 13 of the most influential A.R.T.-related papers (Kaplan & Berman, 2010). The findings (some of which will be discussed below in more detail) show nature’s impact on a wide variety of cognitive activity, from dampening road rage to boosting the spirits and attentional capacities of cancer patients. The authors also explain why nature does a better job restoring directed attention than another stimulus that might seem suited to distracting the mind: television. Rather than lightening the load on direct attention, television actively captures it in an attempt to prevent the viewer from changing the channel (Mander, 1977). As a result, Kaplan and Berman report, researchers have found a direct correlation between the amount of time someone spends in front of the television and that person’s irritability. In the short-term, TV shows provide an escape from everyday trials, but over the long-term such escapism prevents the mind from engaging in much-needed reflection. A logical extension of attention restoration theory is that people deprived of nature will display behaviors caused by weary minds. Shortly after his influential paper on A.R.T. appeared in 1995, two of Kaplan’s disciples decided to test this conclusion. The hypothesis laid out by Frances Kuo and William Sullivan of the University of Illinois was a marvel of logic and sequence: If fatigued attention is related to irritability, and irritability leads to aggression, then perhaps people deprived of nature’s restorative qualities would be overly aggressive (Kuo & Sullivan, 2001). Kuo and Sullivan tested their premise on 145 female residents of a public housing complex in urban Chicago. The complex provided natural control and study groups: Some residents lived in buildings that overlooked “pockets of green,” while others had a view of only bleak concrete. The researchers reported significantly lower levels of aggression and violence in residents with apartments near nature than in those who looked onto barren lands. When handling disputes with their partners, women in the nature group used fewer “psychologically aggressive conflict tactics” and fewer “mildly violent conflict tactics” than those whose randomly assigned housing unit was denied exposure to nature. Aggressiveness has been linked to impulsivity, so it’s not surprising that in a contemporaneous study, Kuo, Sullivan, and Illinois colleague Andrea Taylor found a relationship between exposure to nature and self-control (Taylor, Kuo, & Sullivan, 2002). In studying 169 girls living in the same housing complex, the researchers found that those with greener views performed better than those deprived of nature on several tasks related to discipline. The former group scored higher on tests of concentration, inhibited impulsivity, and ability to delay gratification. The findings on aggression and self-discipline appear to transfer out of the home and onto the road. In a 1998 paper, a group of Texas A&M researchers led by Russ Parsons compared the physiological responses of subjects who watched a video of driving through nature with those who watched a drive through more built-up environments (Parsons et al., 1998). Not only did the nature-road group display lower levels of stress, they also recovered more quickly from the stress they did experience. A related study of road rage tested the ability of subjects to tolerate frustration in various roadside settings (Cackowski & Nasar, 2003). Subjects watched one of three driving videos — one with dense roadside vegetation, one with sparse roadside vegetation, and one mixed — then were asked to solve an unsolvable anagram. The task was designed to enhance frustration, and indeed, subjects whose road trip had taken them through dense vegetation worked on the aggravating task for roughly 90 seconds longer than those in the other groups. The recognition of nature’s psychological value has informed broader discussions on public health and even inspired practical applications. 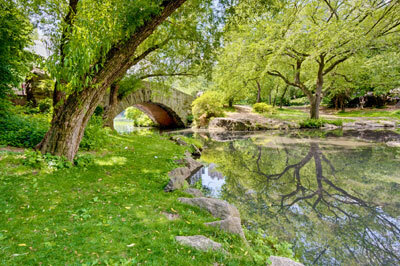 Building on studies showing the psychosomatic benefits of green space, a U.K. research duo reported that populations living near natural environments had less income-related health inequality than groups living away from green space — prompting calls for greener infrastructure and community planning (Mitchell & Popham, 2008). The design of Sacred Heart Medical Center at RiverBend, an Oregon hospital rebuilt in 2008, was informed by a now-classic paper that appeared in Science in 1984: Researcher Roger Ulrich found that patients whose hospital window overlooked nature recorded shorter postoperative stays, required less potent pain medication, and evaluated their nurses more positively after gall bladder surgery than patients who looked onto a brick wall (Ulrich, 1984). The heightened awareness of nature’s health benefits is tempered by threats to the environment posed by modernity — from the clearance of green space for buildings to the destruction caused by global climate change. To see how such changes might affect future well-being, several psychologists have begun to study whether technology can salvage some of nature’s healthful properties. Three researchers from the University of Washington, led by Peter Kahn Jr., review some of this work in Current Directions in Psychological Science (Kahn, Severson, & Ruckert, 2009). One of the outlined studies, led by Kahn, compared three types of nature interactions available in a modern office. Kahn and his coauthors conducted tests on three groups of 30: In one group, subjects sat near a glass window that overlooked a nature scene; in another, they viewed a similar scene on a high-definition plasma television; and in a third, they sat near an empty wall. The researchers measured heart-rates to gauge how quickly subjects in each setting recovered from stressors. Predictably, Kahn and his colleagues found the glass window to be significantly more restorative than the blank wall (Kahn et al., 2008). When the researchers compared the results of subjects in the plasma and blank wall groups, however, they found no significant differences in recovery to stress. This came as something of a surprise. In a previous field study involving Kahn and led by Batya Friedman, plasma screens depicting a natural scene were installed on walls in real-life offices, and workers asked about the experience over a 16-week period reported higher well-being, cognitive functioning, and connection to the environment. This conclusion was recently supported in a study led by F. Stephan Mayer, a professor of psychology at Oberlin College, on whether exposure to nature aided the ability to reflect on life’s troubles (Mayer, Frantz, Bruehlman-Senecal, & Dolliver, 2009). Mayer and his colleagues asked subjects to consider a relatively minor problem in their lives, then split them into one of several groups. Over the course of three separate tests, some subjects reflected on their “loose end” while strolling through either natural or urban settings, and others did so while viewing videos of these settings. The researchers concluded that exposure to nature increased a subject’s ability to resolve a minor personal problem, but that actual nature aided this resolution more than virtual nature. The type of work done by Mayer and Kahn falls at least partially under the umbrella of ecopsychology. Largely embraced by therapists, ecopsychology has been considered more of a social movement or worldview than a scientific discipline. But a so-called “second-generation” of ecopsychologists have emerged with a desire to ground the movement’s theories in an empirical foundation. Thomas Doherty, a clinical psychologist in Portland, Oregon, who co-teaches an ecotherapy class with Hasbach at Lewis & Clark University, seconds ecopsychology’s push to embrace empirical methods. Editor of the year-old, peer-reviewed journal, Ecopsychology, Doherty says his goal with the publication is to “move away from the stereotype” of ecopsychology being a non-scientific endeavor. In the lead editorial of the inaugural issue, he wrote that the new generation of ecopsychology “recognizes that tending data sets and tending souls are not mutually exclusive” (Doherty, 2009). Doherty would like to see more controlled studies on ecotherapy’s efficacy. “I’m primarily a clinician,” he says, “but I can’t function without research.” To date, such studies have been limited. The most promising was released in 2007 by Mind, a mental health organization in England that commissioned researchers at the University of Essex to study the therapeutic influence of “green exercise” on people suffering from mild depression. The researchers found that activities like nature strolls and gardening projects benefited several aspects of well-being more than did exercise in a shopping mall (Mind, 2007). 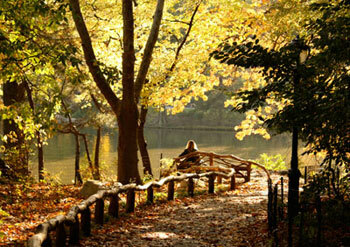 In other words, a walk in the park does a body good — just as Olmsted said. Berman, M.G., Jonides, J., & Kaplan, S. (2008). The cognitive benefits of interacting with nature. Psychological Science, 19, 1207-1212. Cackowski, J.M. & Nasar, J.L. (2003). The restorative effects of roadside vegetation. Environment and Behavior, 35, 736-751. Doherty, T.J. (2009). A peer reviewed journal for ecopsychology. Ecopsychology, 1, 1-7. Hartig, T. (2007). Three steps to understanding restorative environments as health resources. In C. Ward-Thompson & P. Travlou (Eds. ), Open space: People space (p. 165) New York: Taylor and Francis. Kahn, P. H., Jr., Friedman, B., Gill, B., Severson, R.L., Freier, N.G., Feldman, E.N. (2008). A plasma display window? The shifting baseline problem in a technologically-mediated natural world. Journal of Environmental Psychology, 28, 192-199. Kahn, P.H., Jr., Severson, R.L., & Ruckert, J.H. (2009). The human relation with nature and technological nature. Current Directions in Psychological Science, 18, 37-42. Kaplan, S., & Berman, M.G. (2010). Directed attention as a common resource for executive functioning and self-regulation. Perspectives on Psychological Science, 5, 43-57. Kuo, F.E., & Sullivan, W.C. (2001). Aggression and violence in the inner city: Effects of environment via mental fatigue. Environment and Behavior, 33, 543-571. Mander, J. (1977). Four arguments for the elimination of television. New York: Harper Collins. Mayer, F.S., Frantz, C.M., Bruehlman-Senecal, E., & Dolliver, K. (2009). Why is nature beneficial? The role of connectedness to nature. Environment and Behavior, 41, 607-643. Mind. (2007, May). 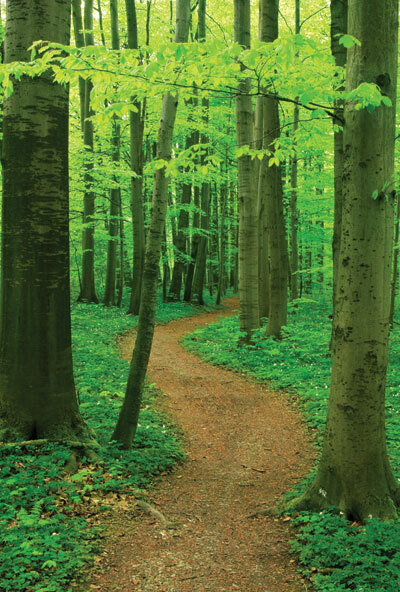 Ecotherapy: The green agenda for mental health. London: Author. Mitchell, R., & Popham, F. (2008). Effect of exposure to natural environment on health inequalities: An observational population study. Lancet, 372, 1655-1660. Parsons R., Tassinary, L.G., Ulrich, R.S., Hebl, M.R., & Grossman-Alexander, M. (1998). The view from the road: Implications for stress recovery and immunization. Journal of Environmental Psychology, 18, 113-139. Taylor, A.F., Kuo, F.E., & Sullivan, W.C. (2002). Views of nature and self-discipline: Evidence from inner city children. Journal of Environmental Psychology, 22, 49-63. Ulrich, R.S. (1984). View through a window may influence recovery from surgery. Science, 224, 420-421. Hello – your article was helpful and informative regarding the empirical evidence to support nature-based therapies. We are currently creating a nature-based therapy approach using insects as models for healthy living. Anything you may have that could be helpful would be much appreciated! Eric Jaffe writes the “Headcase” blog for Psychology Today. His first book, The King’s Best Highway, will be published by Scribner in June.